This year Target Black Friday deals include some good offers on major smartphones and tablets. Target is offering a pretty good deal on Samsung Galaxy S4 along with another deal on iPhone 5s. iPad Air – which has just been launched – is also on offer at Target making the purchase quite tempting among other deals! If you are thinking about getting an iPhone 5s this Black Friday, Target is offering a 20% discount on the standard price. You will be able to get a 16GB iPhone 5s for $179.99. This deal can be availed with a two year contract on AT&T or Verizon. Perk? You wont need to be part of long lines on Thanksgiving day as the deal will be active from Midnight Black Friday to Saturday – as long as stock lasts. With a contract on AT&T and Verizon, you can get Samsung Galaxy S4 from Target for just $39.99! That is some huge discount from SGS4’s usual $199.99 price tag. This Black Friday Target will also sell Galaxy S4 on Sprint for $49.99 – a bit more than AT&T and Verizon. iPad Air from Target Black Friday deals is being offered for $479, only a $20 discount. However, add the $100 gift card and it sounds better. You can use the $100 gift card on Target’s online or retail stores on any stuff but iPad Air itself. With a 16GB iPad Mini, Target Black Friday deal is offered for $299 with a $75 gift card. iPod Touch has long been the most gifted iOS device during holiday season. Since it is not carrier bound, the gadget is sought after gift for kids and teens. 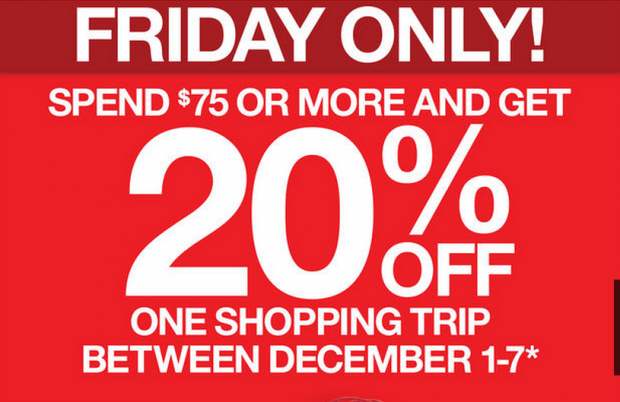 Target in its Black Friday deals include one for iPod Touch too. It is offering iPod Touch for its standard $229 with a $50 gift card bringing the price down to $179. Black Friday shoppers on Target will be sent coupons which they can used between 1-7 December. Although the coupon can be used only once, it might help you save some good bucks. Unlike Walmart, Target isn’t giving any assurance about its stock; big chance you wait up in line for hours and don’t get your desired gadget as these big retailers would be pretty swamped up by consumers.